H 27cm x Dia. 28cm approx. 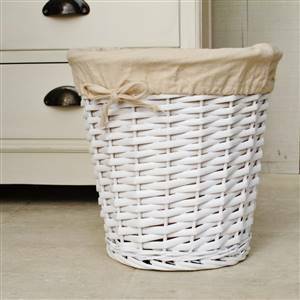 Ideal for a bathroom or bedroom or in a nursery for storage.